As if it wasn’t hot enough, then we got a hankering for fried fish and fritters. It must be 100°F here in the studio, even with the air conditioner cranking. 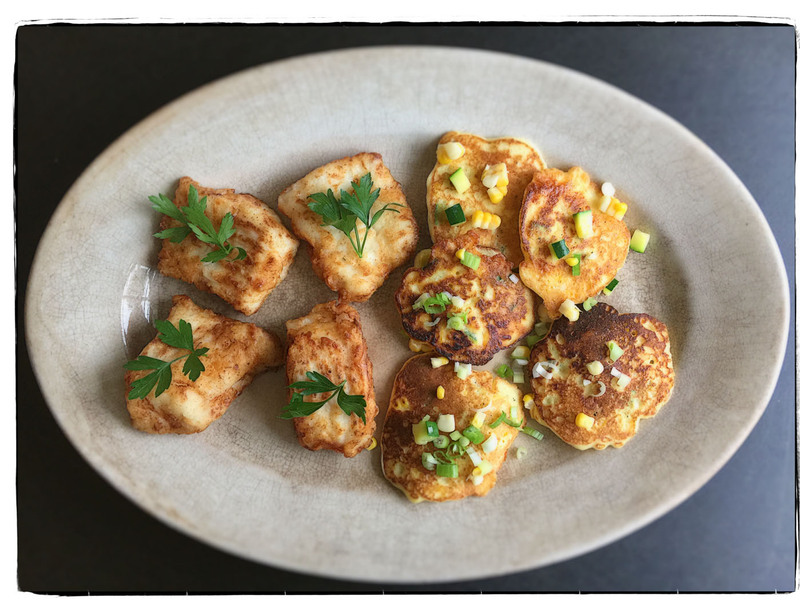 But it is worth it—the cod is crisp and tender and the corn and zucchini fritters are delicate and delicious. We are very happy that we followed our bliss, even if we are bit dewy. Do yourselves a favor and do the same.